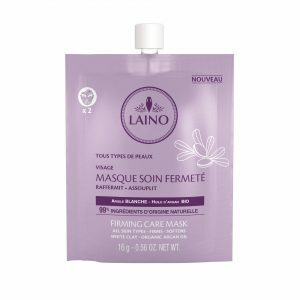 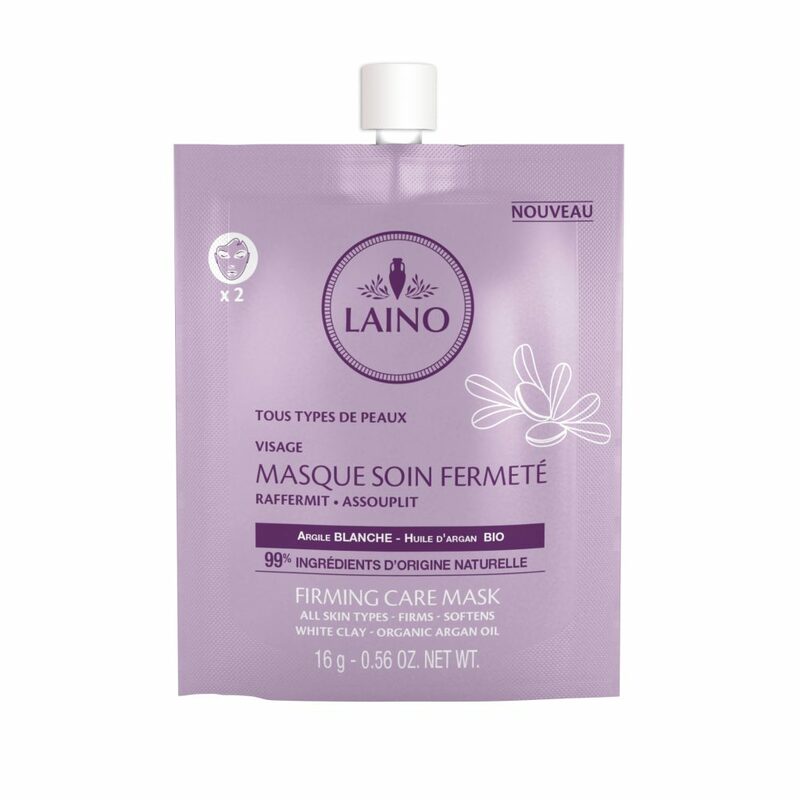 LAINO has selected the best of Mediterranean basin to formulate the Firming Care Mask for all skin types. 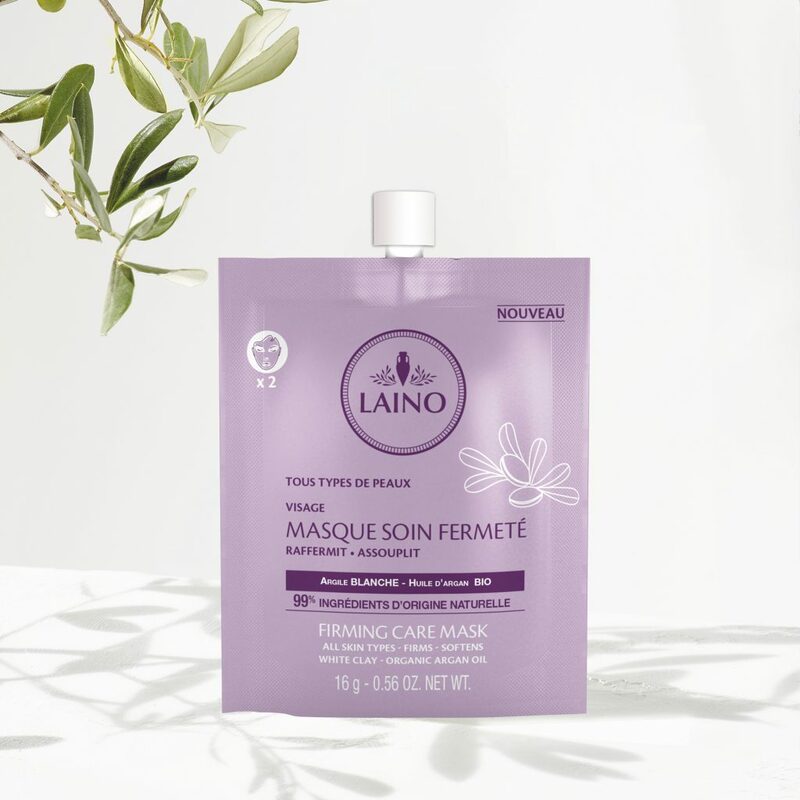 Thanks to the combination of glycerin, ORGANIC Argan oil and Rose extract combined with firmness complexe, this facial care tones and firms epidermis. 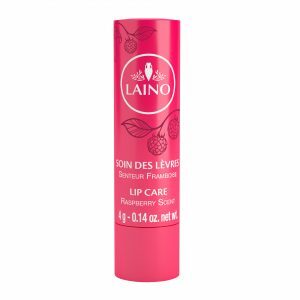 AQUA (WATER) / EAU, ROSA DAMASCENA FLOWER WATER, MONTMORILLONITE, ARGANIA SPINOSA KERNEL OIL, GLYCERIN, SUCROSE STEARATE, BUTYROSPERMUM PARKII (SHEA) BUTTER, CAPRYLIC/CAPRIC TRIGLYCERIDE, CETYL PALMITATE, GLYCERYL STEARATE SE, STEARIC ACID, PRUNUS CERASUS (BITTER CHERRY) FRUIT WATER, PARFUM (FRAGRANCE), HELIANTHUS ANNUUS (SUNFLOWER) SEED OIL, JANIA RUBENS EXTRACT, PALMITIC ACID, BENZYL ALCOHOL, TOCOPHEROL, XANTHAN GUM, DEHYDROACETIC ACID.